(Today’s guest post comes from Exclusive Concepts’ partner, Radware. Exclusive Concepts partners with Radware to offer its enterprise-level site speed optimization solution as a hosted service. Read more here.). I’m Joshua Bixby. By day, I’m VP Application Acceleration at Radware, where I evangelize web performance both internally and externally. By night, I mine data about performance and its impact on users. Online shoppers today are more likely than ever to abandon their shopping carts, even after taking the time and effort to browse and fill them. 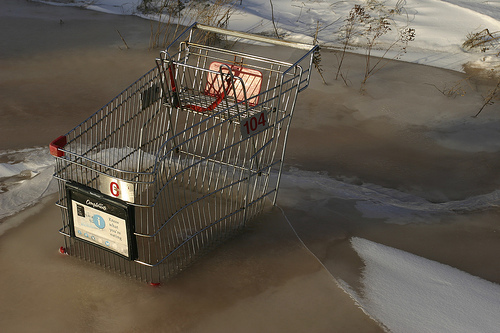 Though abandonment rate numbers vary throughout the year, roughly 70% of online shopping carts are abandoned before checkout. This number has risen every year since 2006. 18% of shoppers will abandon their cart if pages are too slow, which correlates to more than $3 billion in lost sales (across US e-commerce sites) due to poor performance. Shopping cart speed doesn’t just affect the current transaction, but potential future transactions as well: 46% of online shoppers cite checkout speed as the number one factor that determines whether or not they’ll visit a site again. How much does 18% of lost business from slow checkout pages mean to your company? To start recovering that lost revenue contact sales@exclusiveconcepts.com today.